Good morning, everybody! We're all over to Lesley The Cuddle Quilter's today - its Christmas Quiltalong day! 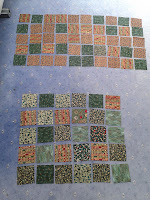 Lesley has hit the ground running with part 3 of the Festive Mystery quilt available to print out (she also has parts 1&2 detailed so you don't have to go running here and there if you are playing catch-up) AND she has cinnamon rolls on the go - I think that you'll have to be quick or there will be none left! 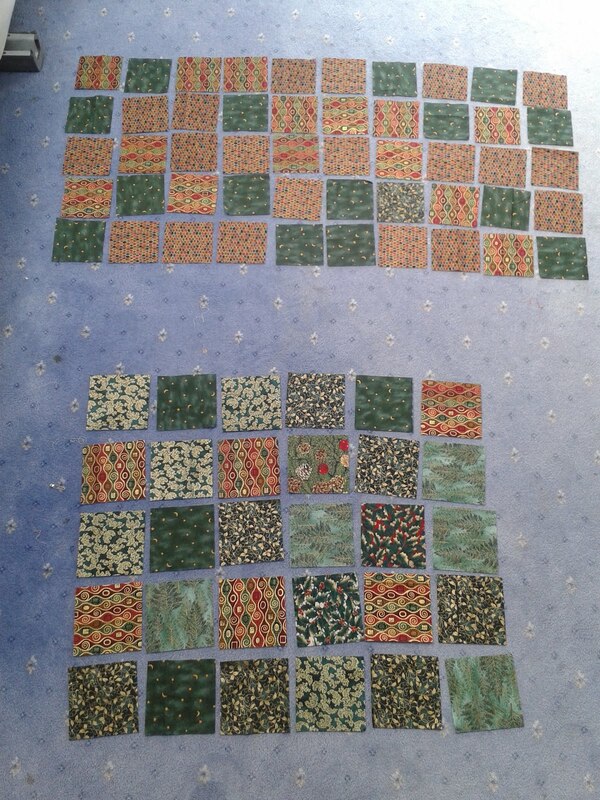 Last night I laid out all my 'dark' scrappy squares to weed out a few odd-bods and replace with fabrics which are a better fit, so I'm all ready to start making up the quarter-square triangles which feature on this month's installment. Right - better get on!